Both are concerned with alleviating inner pain, turmoil, affliction and suffering. Both are humanistic and naturalistic in that they focus on the human condition and interpret it in natural terms. Both view the human being as caught in a causal framework, in a matrix of forces such as cravings or drives which are produced by both our biology and our beliefs. Both teach the appropriatenss of compassion, concern and unconditional positive regard towards others. Both share the ideal of maturing or growth. In the East and the West, this is interpreted as greater self possession, diminished cravings and agitations, less impulsivity and deeper observations which permit us to monitor and change our thoughts and emotional states. 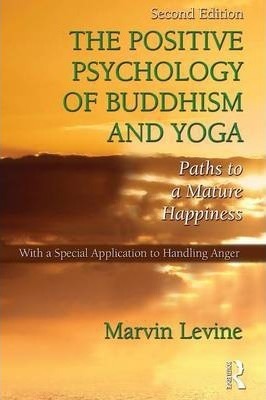 Buddhism, Yoga, and Western Psychology, especially the recent emphasis on positive psychology, are concerned with the attainment of deep and lasting happiness. The thesis of all three is that self-transformation is the surest path to this happiness.